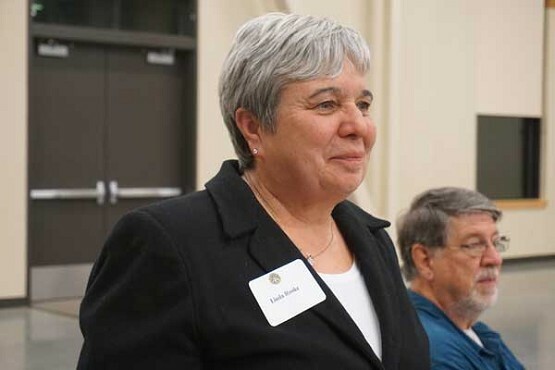 Linda Rooke is the Tualatin Valley Serra Club president. Archbishop Alexander Sample, Bishop Peter Smith and retired Bishop Ken Steiner all attended the chartering of the Tualatin Valley Serra Club at St. Anthony Parish in Tigard. Archbishop Sample celebrated a Mass, which was attended by officers, members of the new club, representatives of religious orders and supportive parishioners. The Fourth Degree Knights of Columbus attended as an honor guard at the Mass and Knights served at the dinner that followed. The event was important enough that John Liston, executive director of Serra Club International, flew in from Chicago to attend the Mass, chartering of the new club and installation of its officers. Other dignitaries present included Dan Jones, the vice-president of communications for Serra International, Father John Henderson, chaplain of the new club and pastor of St. Anthony’s; Father Jeff Eirvin, director of vocations for the archdiocese, and Paul Harris, president of the Portland Serra Club. This was the third chartering of a new Serra Club that Liston has attended this year — the others being in Bridgeport, Conn., and Villaricca, Paraguay. The 80-year-old group, says Liston, is currently growing. “We’re seeing substantial growth, that I attribute to the Holy Spirit, the zeal of our members, the canonization of our patron, St. Junipero Serra, and the fact that lay people are realizing that they need to take an active role in promoting vocations,” he says. Liston was impressed by Oregon, despite being welcomed by rainy weather. “I hope to return when we charter more Serra clubs here,” he says. At the dinner, Archbishop Sample asked the group to pray for his mother, who had wanted to attend but was feeling unwell. 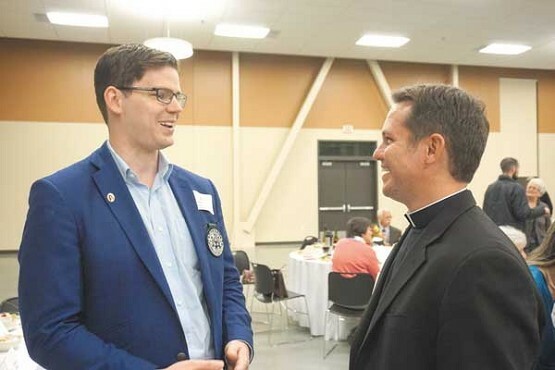 The Tualatin Valley Serra Club is the Archdiocese of Portland’s third, the others being the Serra Club of Portland and the Serra Club of Salem/Keizer. Linda Rooke says that her service as president of the group seemed the right thing to do. Paul Luong, a member of the new group, says he has prayed every day for years that young people become priests or nuns. Saint Junipero Serra, pray for us! This comment has been hidden due to low approval.